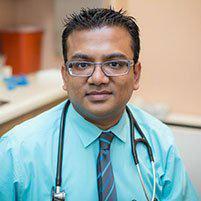 Dr. Rahman is a top primary care specialist in Manhattan, providing comprehensive care using state-of-the-art technology and advanced techniques aimed at diagnosing illness and managing acute and chronic health conditions in New York City patients of all ages. Primary care doctors serve as your primary contact for all your healthcare needs. A primary care physician, or PCP, acts as your partner in managing your health through every age and stage of life. Your PCP can perform preventive care like annual physicals and health screenings to ensure you stay as healthy as possible, and he or she can also refer you to specialists when you need care for specific types of diseases or illnesses. As your personal healthcare coordinator, your PCP can also serve as your primary point of contact under your managed insurance plan, providing referrals as required before you can see medical specialists. What kinds of services does a PCP provide? PCPs are trained in all areas of health and wellness, providing comprehensive care options like physical exams, vaccinations and immunizations, medical screenings, prescription management, ongoing management of chronic medical conditions like diabetes, high blood pressure and high cholesterol, and care for acute illnesses and injuries including flus and colds. Plus, they can provide important guidance and education about your healthcare needs as they change over time. Ideally, you should see your PCP every year for a physical exam. Annual physicals can help provide an ongoing record of your health as you get older and serves an important role in uncovering signs of diseases in their earliest stages when they're most easily treated. Additionally, you should see your primary care physician whenever you have an acute illness or injury and for ongoing management of chronic conditions like high blood pressure, heart disease, diabetes, COPD, allergies or other issues to ensure any treatment plan you're following is as effective as it should be.